This project is a simple children's museum exhibit that will teach children how the touchscreens we use everyday work. This pixel has three sides that cause the LEDs inside to illuminate different colors based off someone's proximity to a corresponding side. This is just a basic idea of the form of the exhibit I'm envisioning. This was the test of the capacitive "touch" sensing. 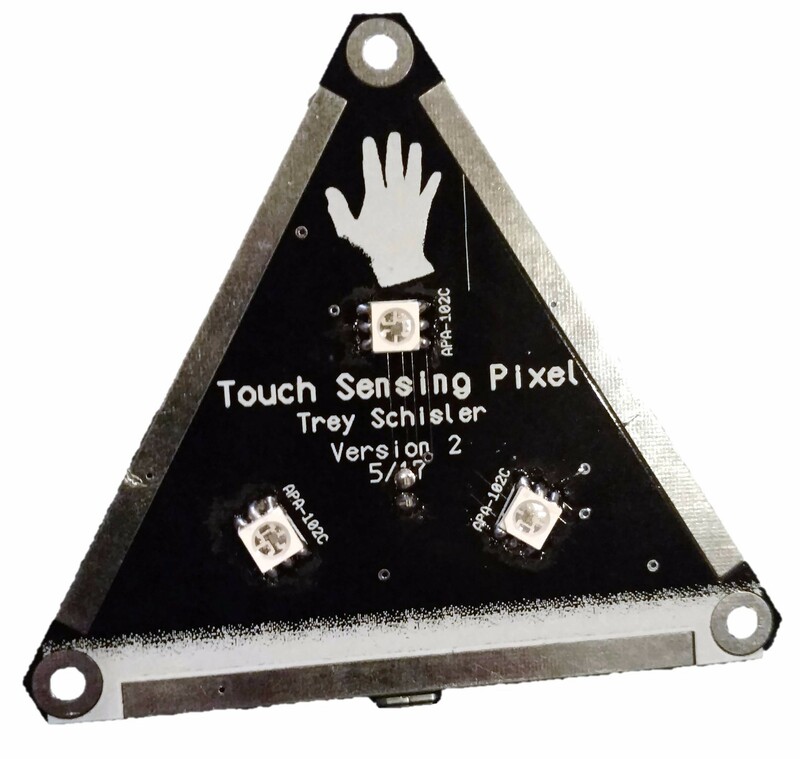 A few different methods of sensing were considered but capacitive sensing is the most accurate to what's used today. 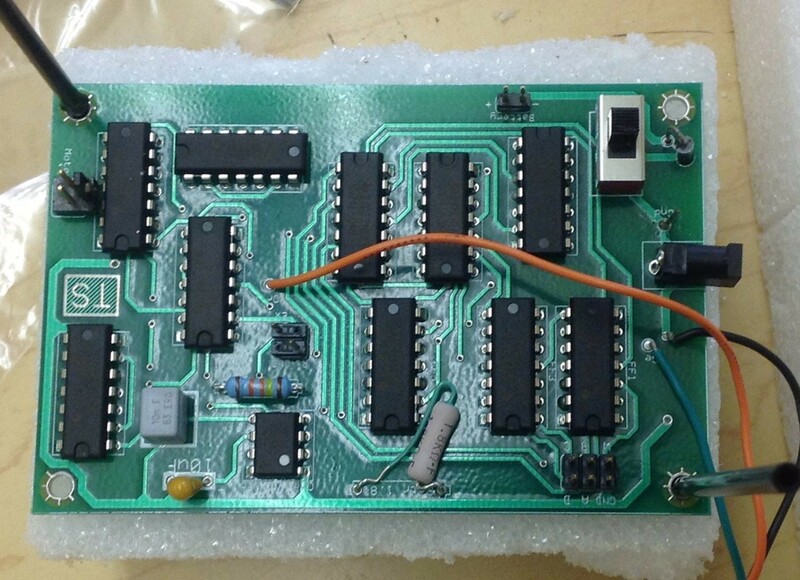 PCB used to simplify early development of the software. This was the second step to ease debugging. It was used to debug an odd dip in touch sense readings. 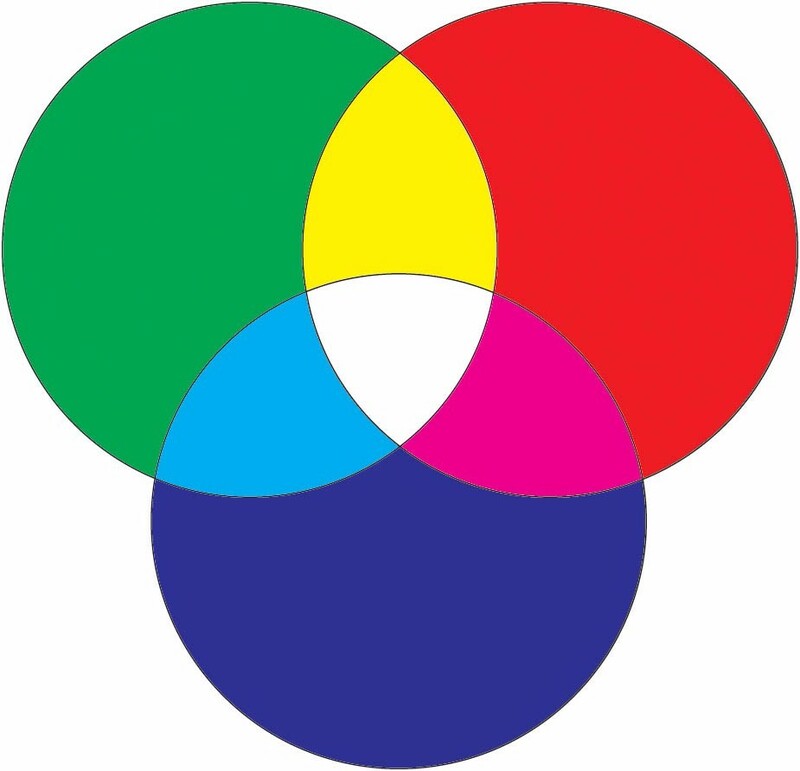 The three major modes of operation are color addition, color mixing, and demo ("nightlight" on the desktop version). This project is meant to make the best lightweight microcontroller for every occasion and to give me much needed experience on designing for PCB assembly designs and a little work on compilers. The specifications for this were chosen from many projects that are ongoing for me and my EPICS team. 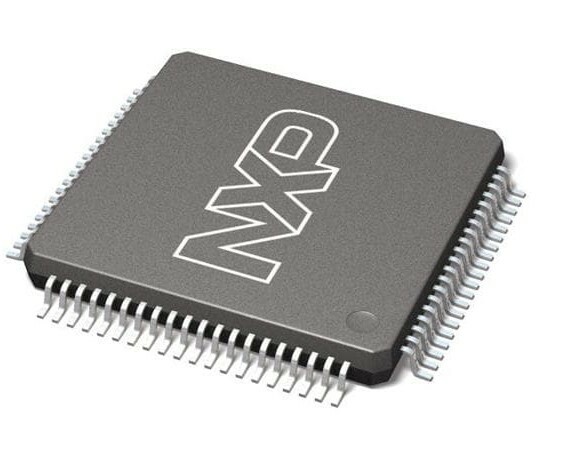 The Gecko microcontroller uses a few nanoamps, has 256KB of memory, and a 48MHz clock speed. There are evaluation versions that utilize Silicon Lab's programmer. 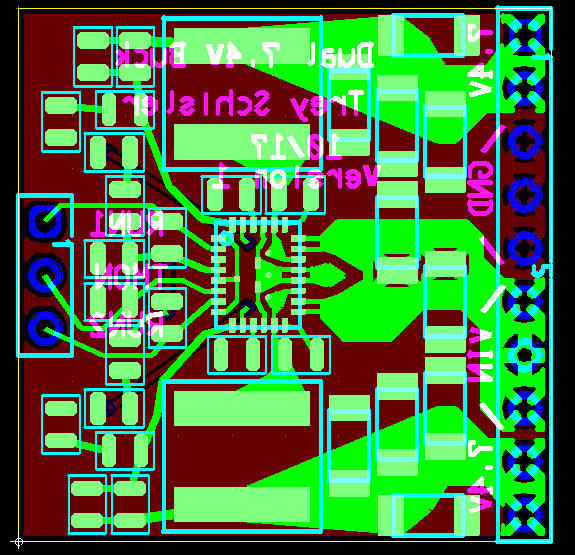 The plan is to create an Arduino compatible PCB footprint and power using a step up/step down buck converter. 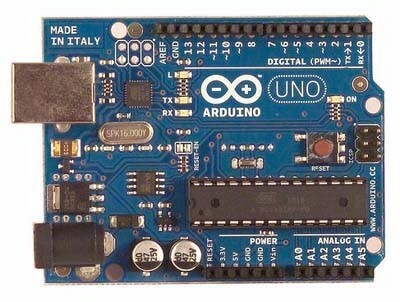 The biggest obstacle will be making it compatible with the very popular Arduino IDE. This project is another children's museum exhibit that teaches children about the Curiosity Rover currently operating on Mars. It features a controllable arm with different tools on the end, XY camera, and an RFID scanner. 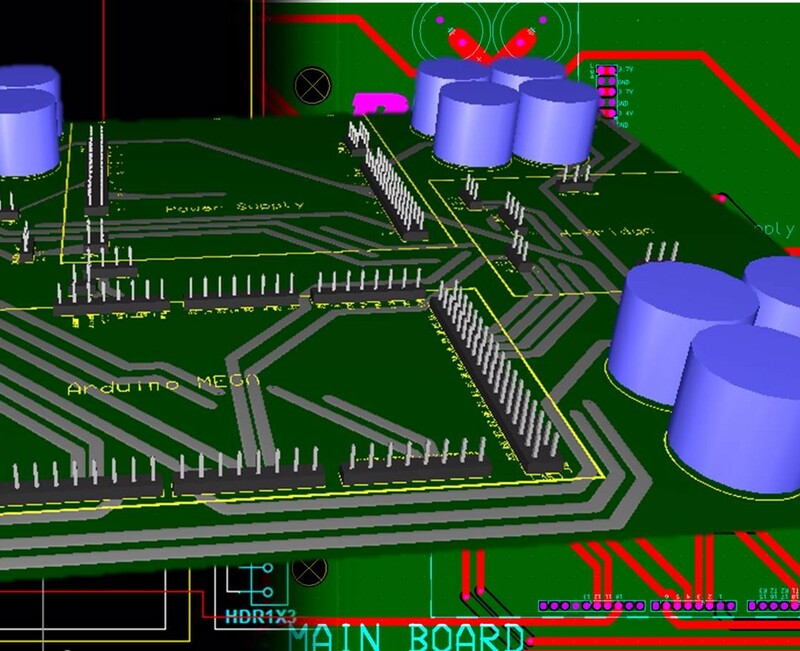 This PCB design was designed to be future proof for any plausible upgrade that may be required after testing. 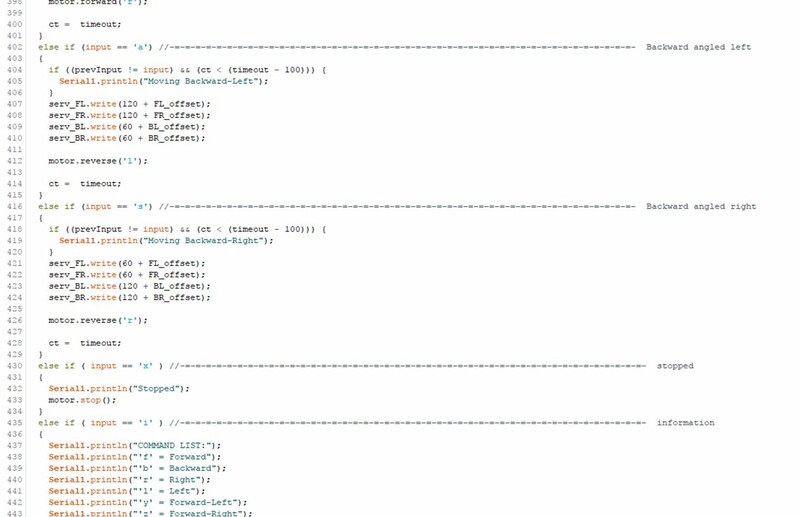 The code on the rover was written to allow for operation to be quickly changed without having to alter more than a few variable values. This translates the joystick and button inputs into keyboard key strokes. 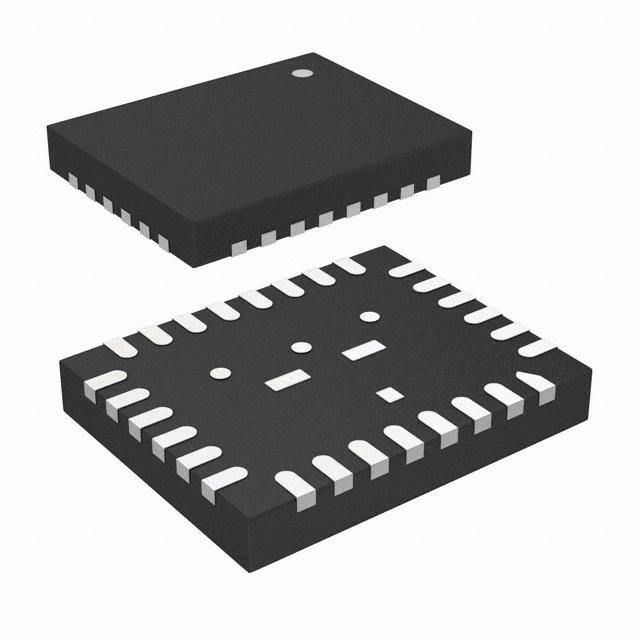 The PCB was designed to isolate inputs and outputs. The challenge was to have a four channel optocoupler only use a single copper layer to conserve space and allow for another optocoupler to be on the other side. 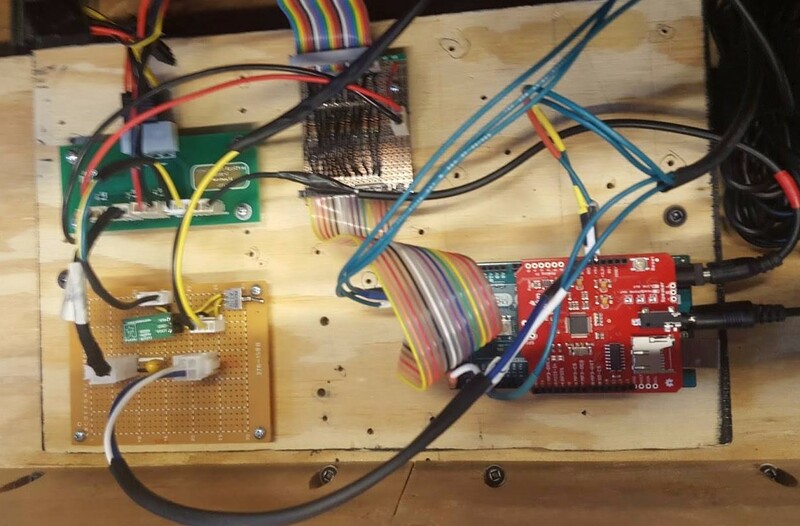 This project is the precursor to the Beta version and only features the basic wheel and steering control with an X-axis camera. These designs were based off of reverse engineered protoboards. The code for this rover features an on-the-fly servo and motor adjust, which is useful when a wheel is slightly unaligned or the motor direction is backwards. 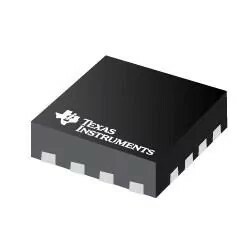 These regulators use TIP-120s to regulate the voltage to 7.4V. These low efficiency were replaced with 7.5V step down buck converters. 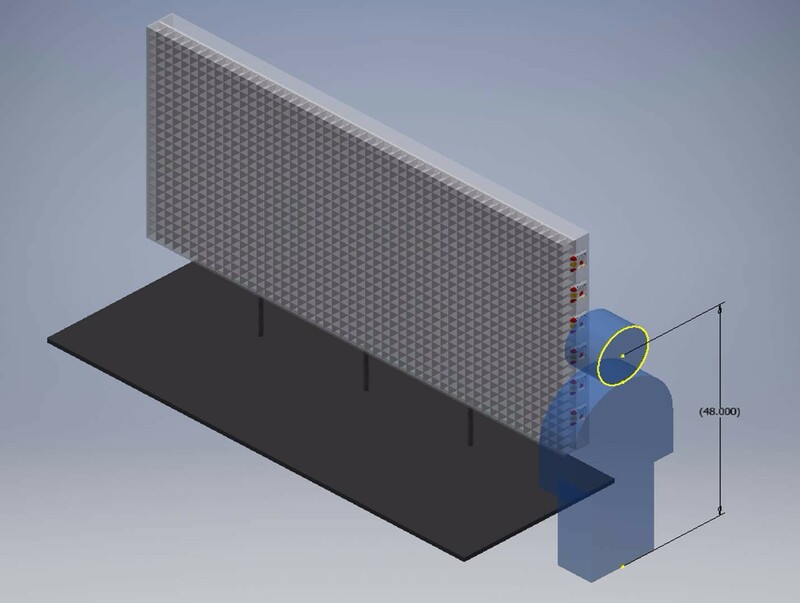 This project is meant to explore modifications on a tightly constrained area and mimicking a very condensed SOC with separate ICs and adding new and impressive features. This photo shows the basic size and shape of the PCB. 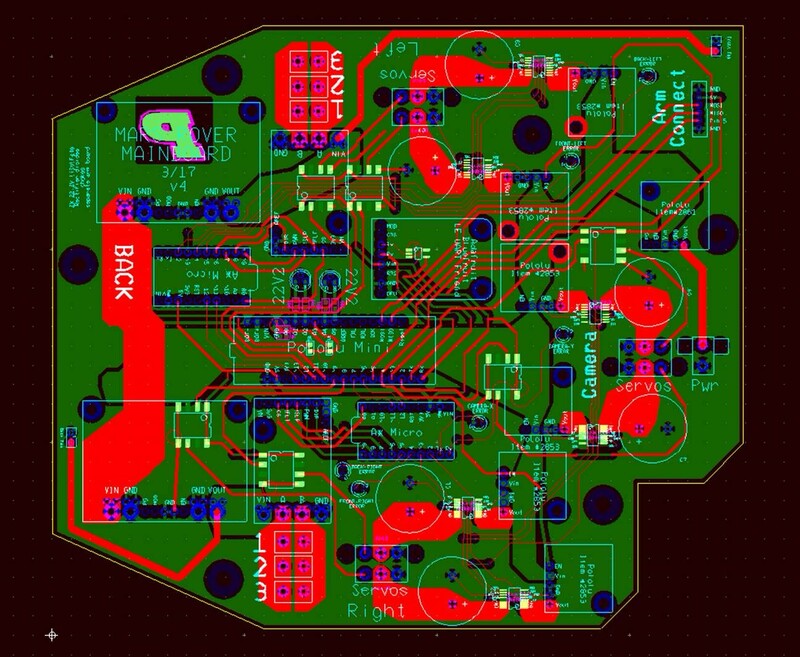 The PCB has to hold a microcontroller, fingers for LCD and Button Pad, a step up buck to charge the battery from the solar panel, a battery charging circuit, a reset pad; with new features such as a mesh network LE Bluetooth module and hidden microUSB connector for reprogramming. The current chosen microcontroller is the Happy Gecko micro created by Silicon Labs. The rationale is to work on this and the ArGecko project simultaneously. 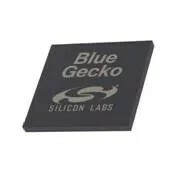 Conveniently Silicon Labs also created a Bluetooth module with mesh networking capabilities and additionally they have startup code available . This microUSB was chosen to keep the profile a low as possible to avoid having to modify the original case of the calculator. 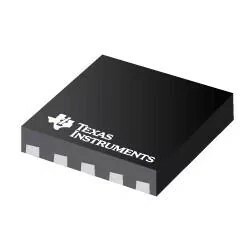 This TI buck boost IC was chosen purely because of its ability to boost 0.3V to 3V necessary to charge the battery with the stock solar panel. 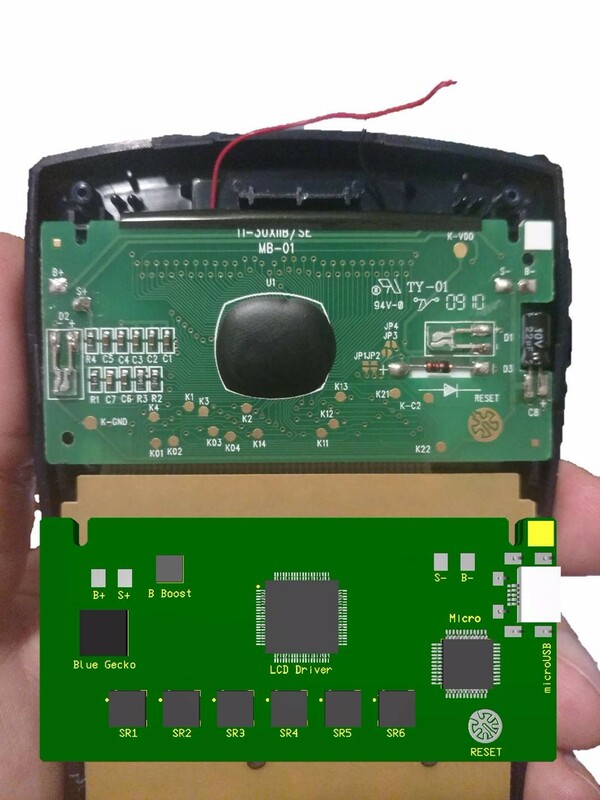 This LCD driver was chosen to reduce the required number of pins needed to drive an LCD. This shift register was chosen to expand the required real estate of a necessary shift register to a less area, lengthier chain. 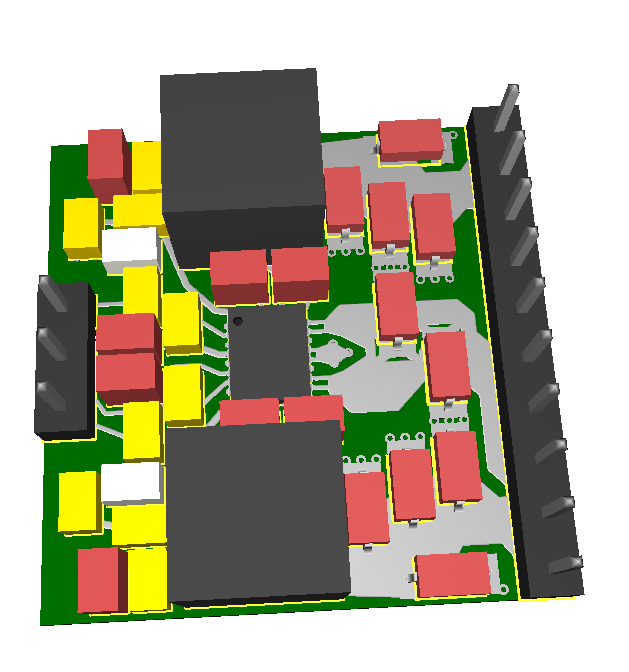 This project is meant to help power my other projects and give me some experience designing condensed PCBs. This is the package that the regulator uses. 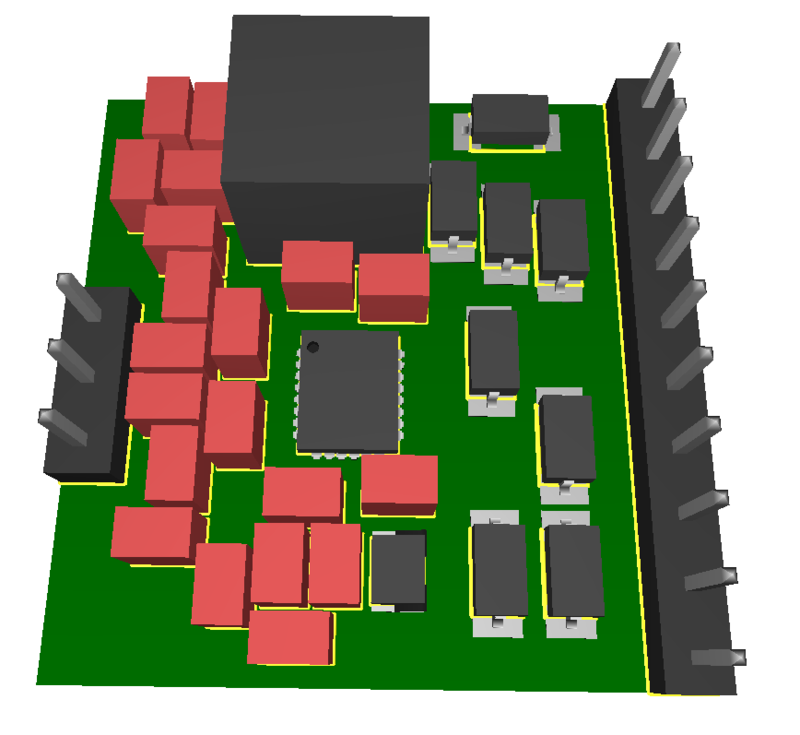 This is the 1st iteration of the PCB design, which outputs 7.4V and 12V. This shows the traces on the PCB. This was designed to solve the issue of powering the buffer capacitors on each servo. It also uses the Power Good pins to illuminate red LEDs to display when the voltage is outside the nominal range (+8%/-5%). It breaks out the temperature monitor pin and shutdown pins to give the ability to stop power to servos to save power during a sleep cycle. It is also designed to only have a 0.05V droop during a full 6A draw to ensure consistent torque from the servos. This project went to a local children's museum, Imagination Station, in Lafayette, IN. This dual sided exhibit uses eight LASERs and eight corresponding photodiodes which send a signal to a microcontroller which then sends a real-time MIDI command to an audio decoding chip which produces the various notes. 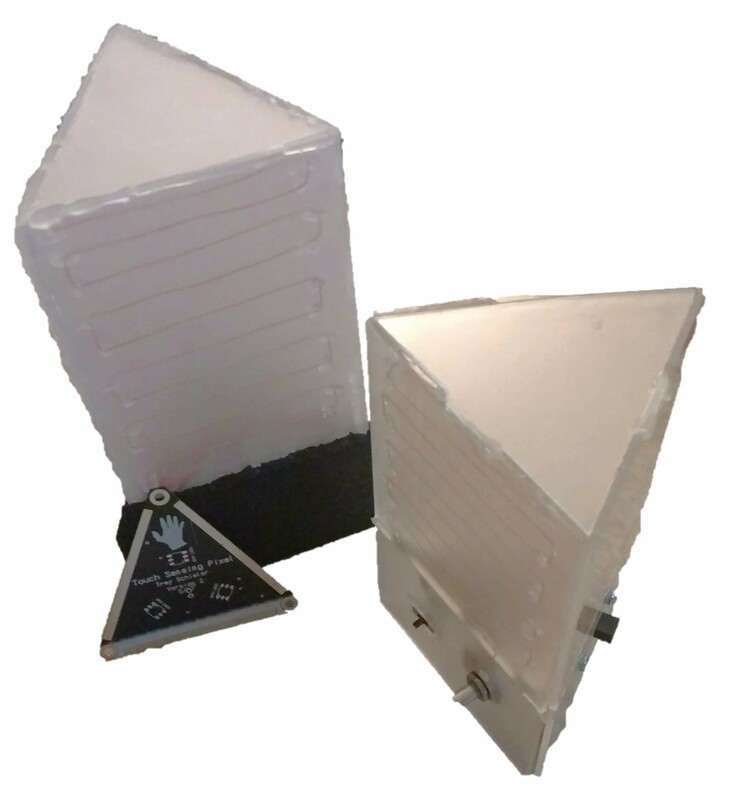 These PCBs were designed for easy use and to give the ability to swap between operation modes on the fly. The controller board has 16 seven segment displays which illuminate when a LASER is hitting a photodiode. The PCB uses DMOS chips to drive the seven segment displays and the LEDs in the buttons. The PCB is designed to use a standard 24 ATX power connector found on any computer power supply. 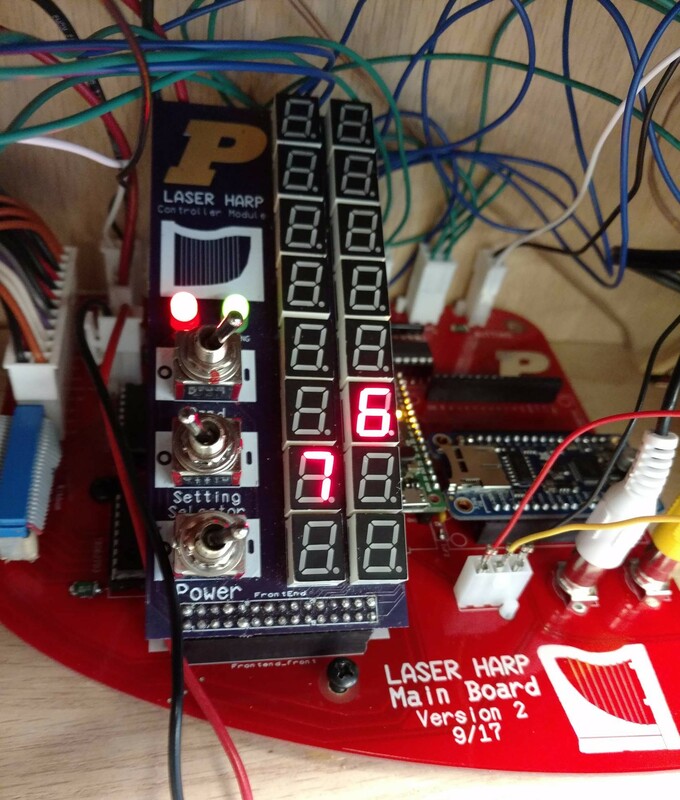 This PCB displayed is the second iteration that uses shift registers and much smaller components to provide an easily scalable solution for future versions of the LASER Harp. The code has four modes of operation. The PCB has two switches which toggle between these modes. 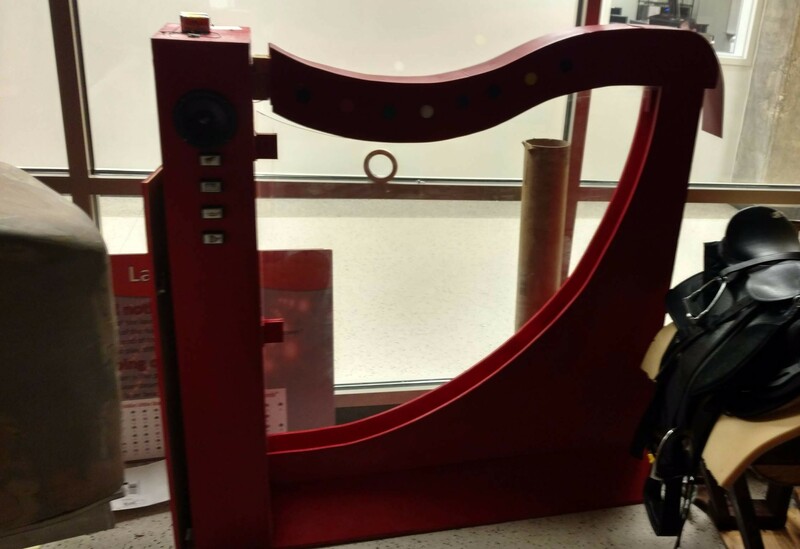 The first is the "Band" setting which allows children to randomize the instrument between 128 different instruments. The second is the "Setting Selector" which changes whether the notes are played on the release or breaking of the LASERs' paths. 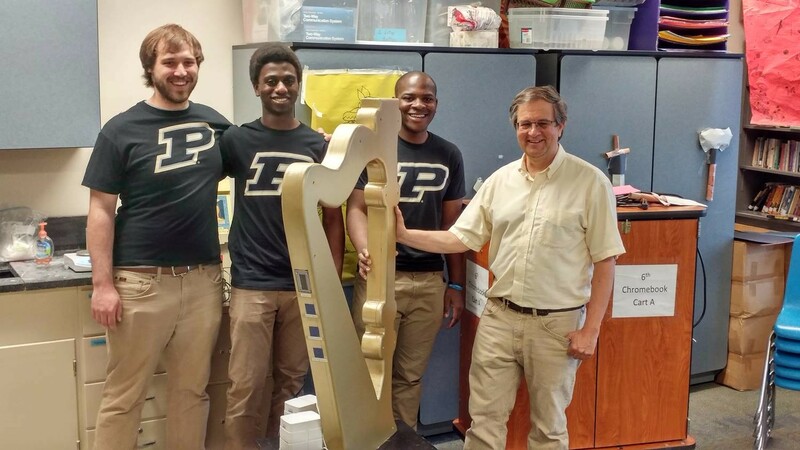 This LASER harp, which was sent to Happy Hollow, an elementary school in West Lafayette, was 80% done before I volunteered to join the team. There were a few major issues that caused reoccurring malfunctions that could be traced back to hardware and software bugs. The harp has 13 LASERs, three touch sensitive buttons, and a touch slide potentiometer. The buttons toggle the playing scale, instrument, and note sustain. The potentiometer controls the volume of the notes being played. In order to better emulate a real harp, the notes play when the path of a LASER is broken then released. The harp utilizes re-settable fuses to protect from shorts while preventing the need to replace conventional fuses. One of the issues that plagued the harp was the MIDI board voltage regulator getting burned out after a a few times of being turned off and on. This was tracked down to a voltage spike from the power supply on startup and the speakers not getting the proper voltage supplied, which is 15V. A decoupling capacitor was used to smooth the initial spike and a step up buck converter was used to boost 12V (the max voltage available from power supply) to the required 15V. 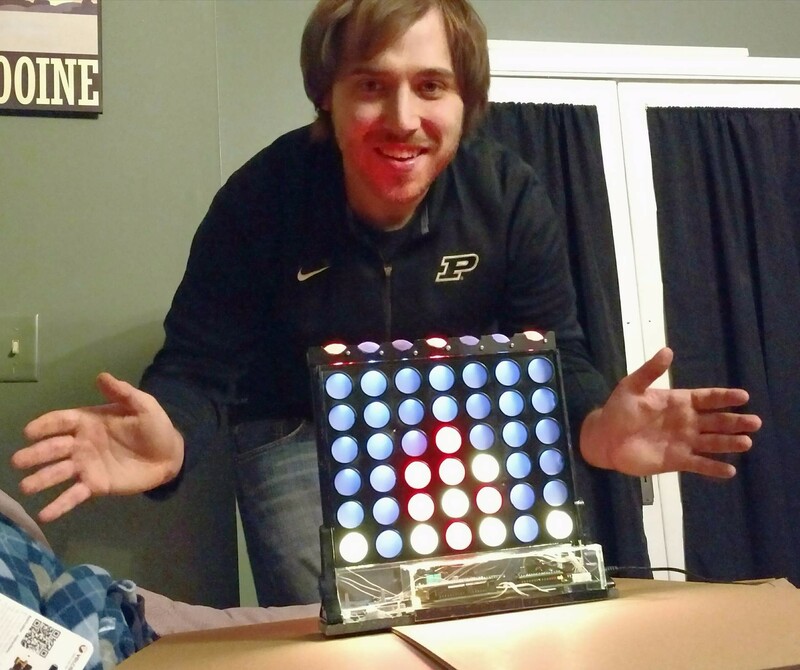 This project's purpose was to emulate the traditional game of Connect4 while giving it an electronic upgrade. The code for this project was a big challenge for me. 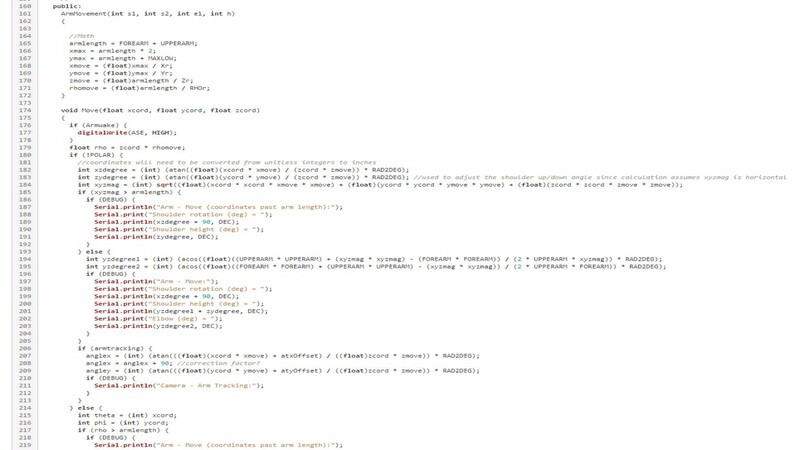 For this project, it was required for me to use a microcontroller with 18KB of memory. 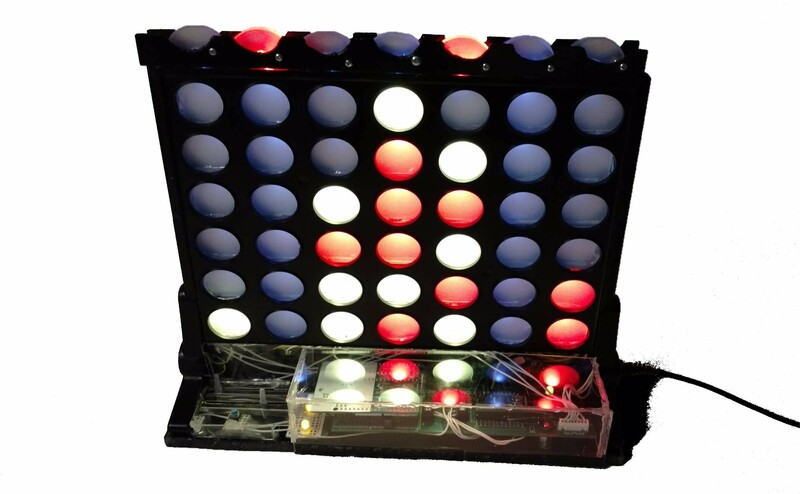 This project features adjustable token colors, an option computer opponent with fine-tunable difficulty, victory detection, animations, adjustable sound effects, and the basic mechanics of the Connect4 game. 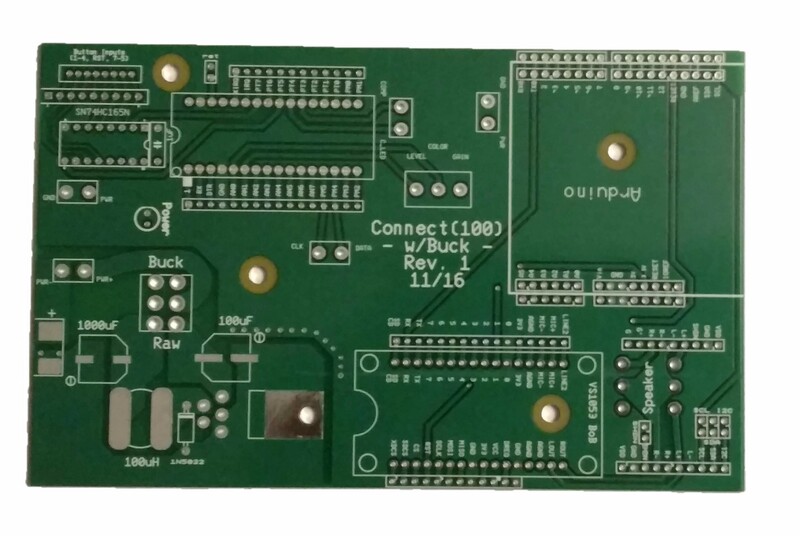 The PCB has a built-in buck converter to step down input voltages to five volts. 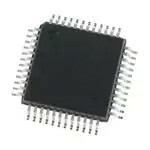 The PCB also has a parallel load shift register to change the required digital inputs pins from 8 to 3 to conserve pins on the microcontroller. The PCB holds the required microcontroller, an Arduino (used for the song), a VS1053 breakout board, and a couple options for amplification to the built-in speakers. The overall build design was meant to emulate the feel of the traditional game. It uses tactile buttons on the top to imitate the feel of dropping a token down the slots. After pushing a button, a dropping animation and sound effect is triggered. Another tactile button was placed on the side to imitate the feel of the clearing slide. There's also a token color and a computer difficulty slide potentiometer located on the bottom. The power rocker switch is located on the other side along with the power jack input. 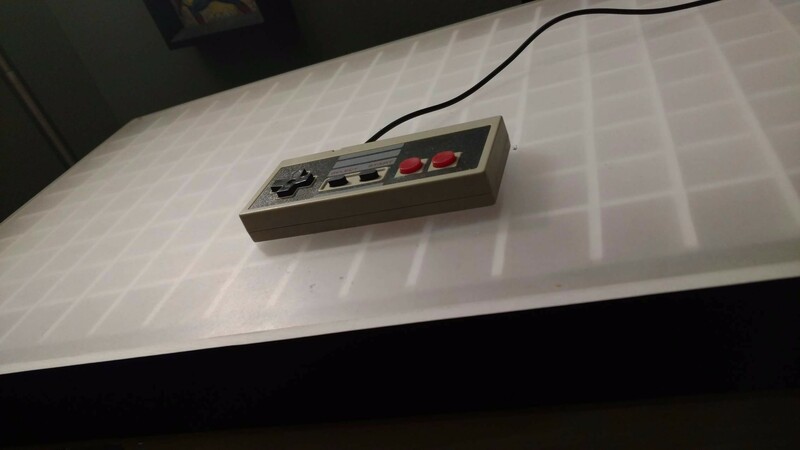 This project was meant to create a large LED matrix that Tetris would be played on and be controlled by a stock NES controller. 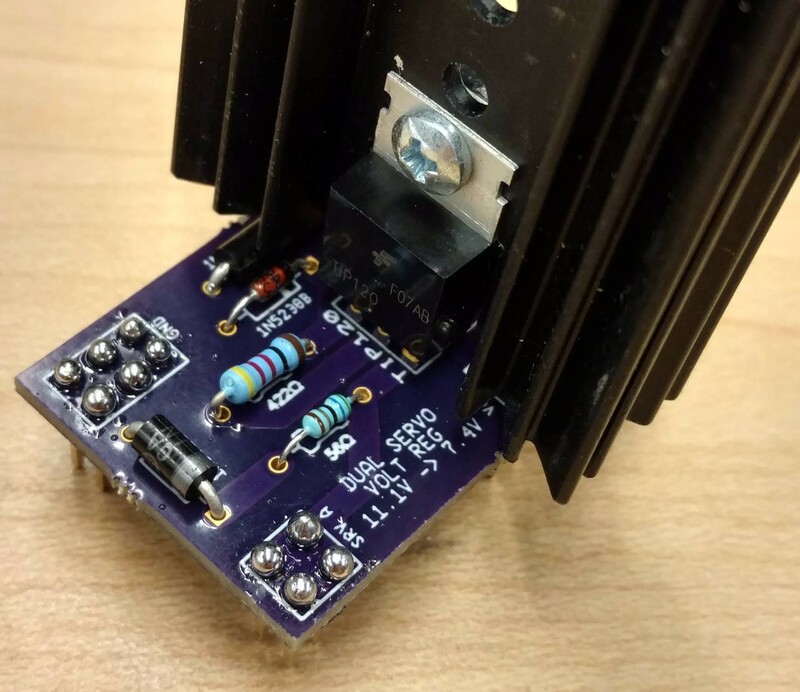 The design is very basic but was meant to allow for on-the-fly fixes and alternative ways of connecting and powering the various connected components. 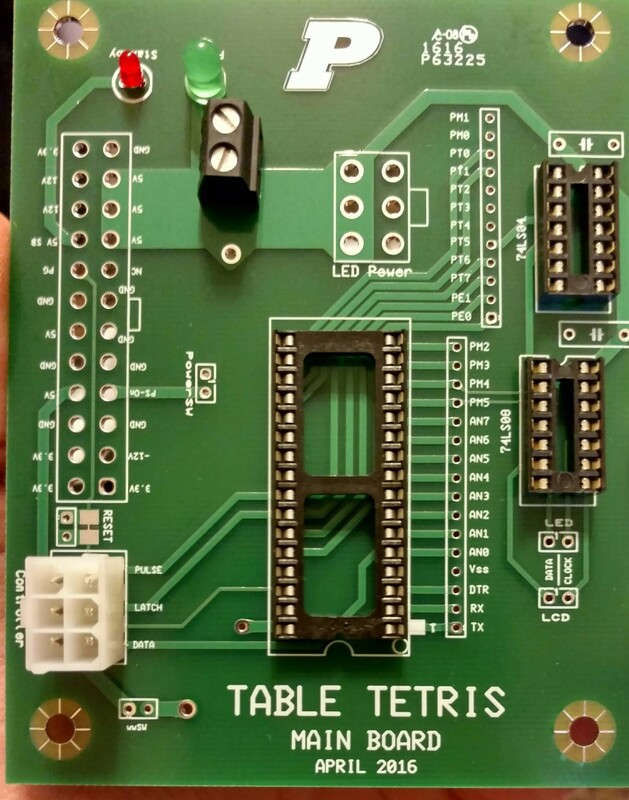 This project uses a stock NES controller to control the movement of the falling pieces. The controller acts just like a parallel load shift register that is sampled at 60Hz. 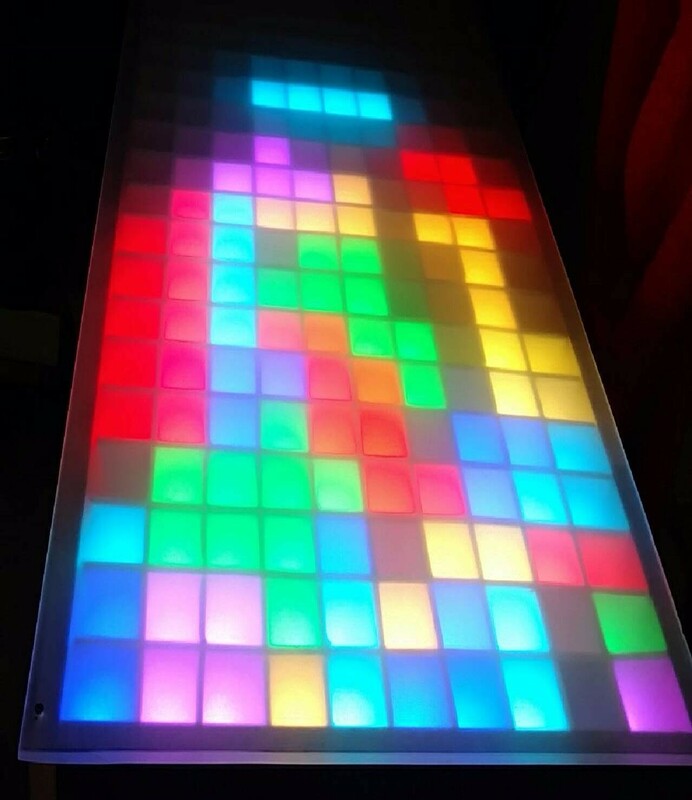 This project also required a 20x10 RGB LED matrix. Several ideas were tossed around until we decided on an addressable LED strip. 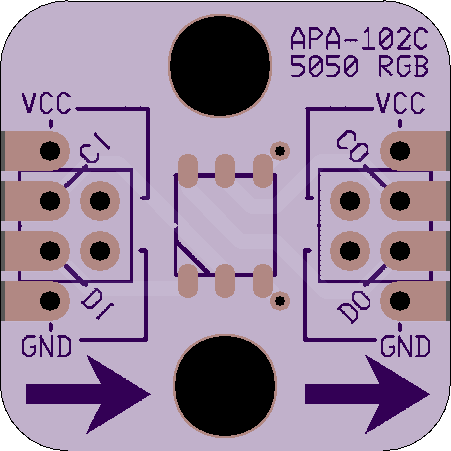 The APA102C strip uses SPI and is very flexible to timing constraints. The game was coded by using a main 2D matrix of size 10x20 integers with the parts being in a 3D matrix of size 4x4x(4*7). The 3D matrix holds the rotated versions of each part and when triggered, the game replaces the old piece with the next rotated version. When a row or multiple rows are filled, the game flashes the row/s and clears them. Afterwards, the game moves the above squares down. The game features a point system and a piece randomization feature, seeded with the game start button hold time. This project was my high school senior design project and is what sparked my interest in electronics. The goal of this project was to replace the clunky, often bypassed with broken pencils combination locks that were on our lockers. This project could be powered by either three AA batteries or an adapter. 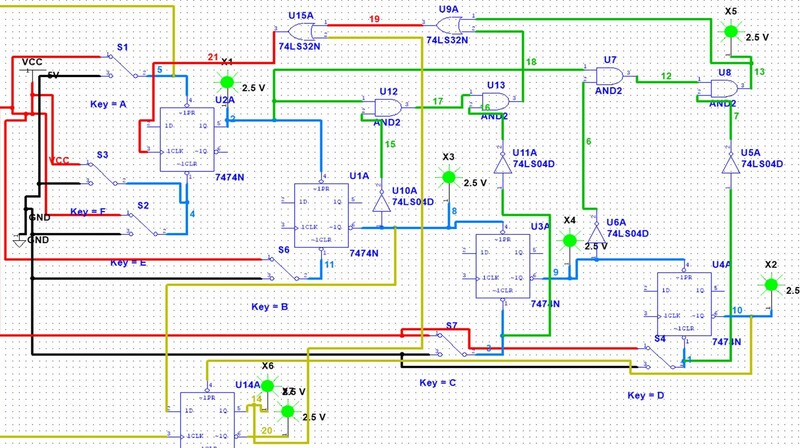 The unlocking schematic is shown here as five basic flip-flops and a few logic gates scattered around. This design clocks on each button input and with each correct input, the signal progresses through the flip-flops. 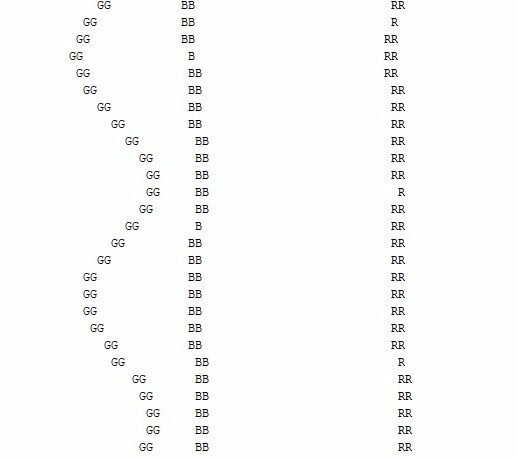 The logic gates and fifth flip-flop are to eliminate repeated correct inputs (A,B,B,C,D would've worked when A,B,C,D was desired). 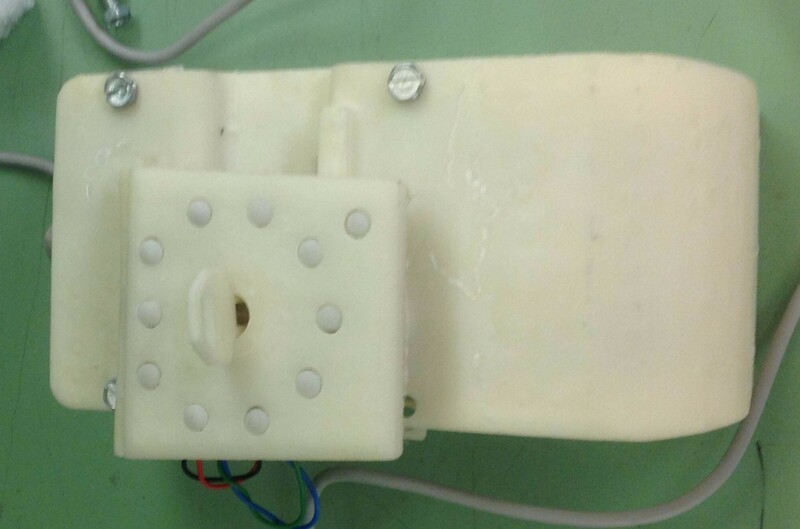 The housing for this was designed to fit in the narrow constraints of the locker's door while having adequate room for the components, a PCB shock absorber, and the lever mechanism. The housing also had to be secure on the locker door, which would take a beating in everyday use. There are ten combination buttons and a reset button. There is also a key option when the combination is forgotten or if the power goes out and the batteries die. The six ICs on the right are the logic for the lock, the top left IC was for powering the motor, the small IC on the bottom was a 555 timer that determined how long the motor waited before returning the motor to the original position, locking the door, and the last three ICs were for dividing the 555 timer frequency to a more realistic duration. There is also a debugging LED which illuminated green when the correct sequence starts and illuminated green/orange when the correct sequence ends and the motor is powered. The batteries have current protection to allow for both the batteries and the adapter to be on together without causing harm to either. This project was the original plan teaching children the physics behind modern touchscreen devices, but had to be put on the back burner because of the lack of necessary funding. This exhibit would've been a matrix of LEDs in a 3:2 aspect ratio to mimic a smart phone. It would've used game cartridge that would have doubled as buttons. 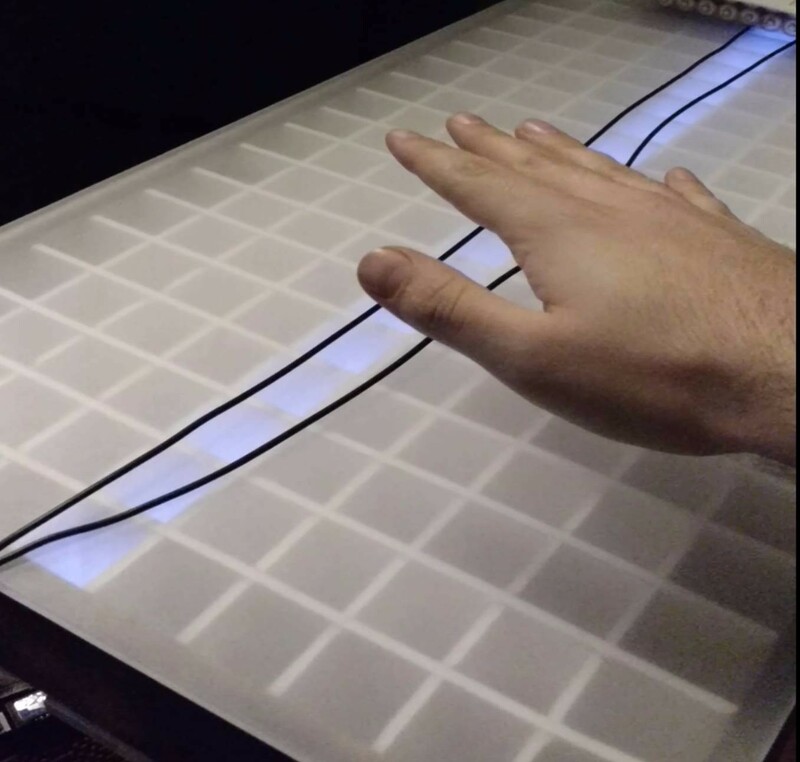 This is a more complex and closer representation of everyday touchscreens that was meant to be highly interactive. 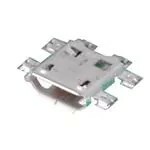 This PCB is used to distribute the appropriate power to each of the components and provides protection from shorts. 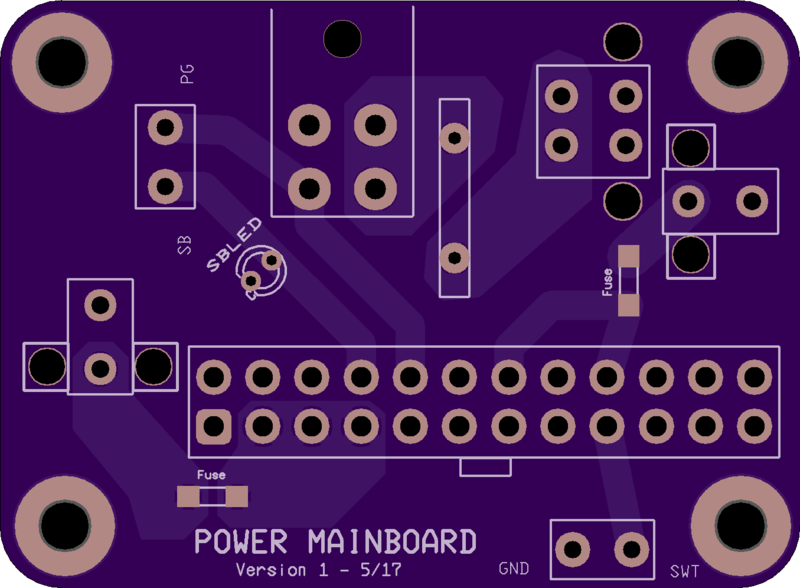 This is the PCB design that will be used to connect the micro-controllers in each button to the necessary inputs and outputs. This second iteration includes a brightness adjust. These PCBs will be used to simplify production of the TouchSense pixels that I'll be selling as a fundraiser for the exhibit. This second iteration was slightly altered to lower costs and help light reflection. This PCB will be what the buttons connect to when swapped in to position. This second iteration includes a brightness adjust. 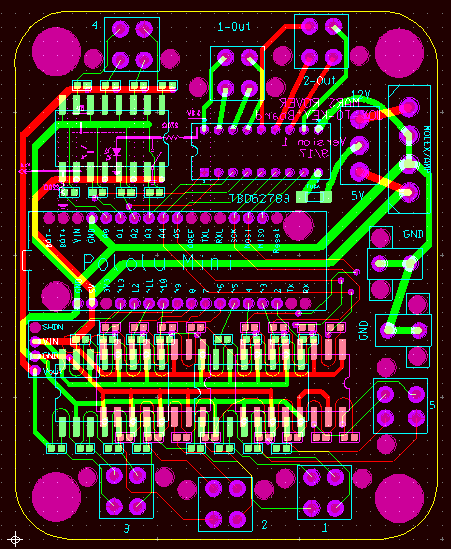 This PCB will hold the sensing micros and give the required connections to the sensing wires and to the master micro. This project was inspired to be a creative use of technology. It will try to anticipate the worst times for a key to be out of tune when played and will play generated songs when not played. This project will help me explore anticipatory algorithms in a fun way. This project requires me to drive 88 motors/actuators that will be used to safely alter tuning of keys individually and also another 88 to trigger each key to play for automated playing.